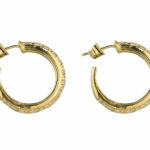 Heyman Bros. 18k yellow gold diamond hoop earrings. 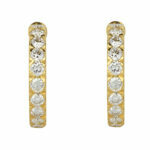 The round brilliant diamonds have a total weight of 4.28cts, E-F color, VS clarity. 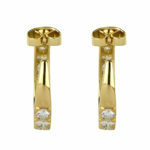 The earrings have a post with a friction back closure. Made for Cartier in 1978.